Find this wig in my Etsy shop! 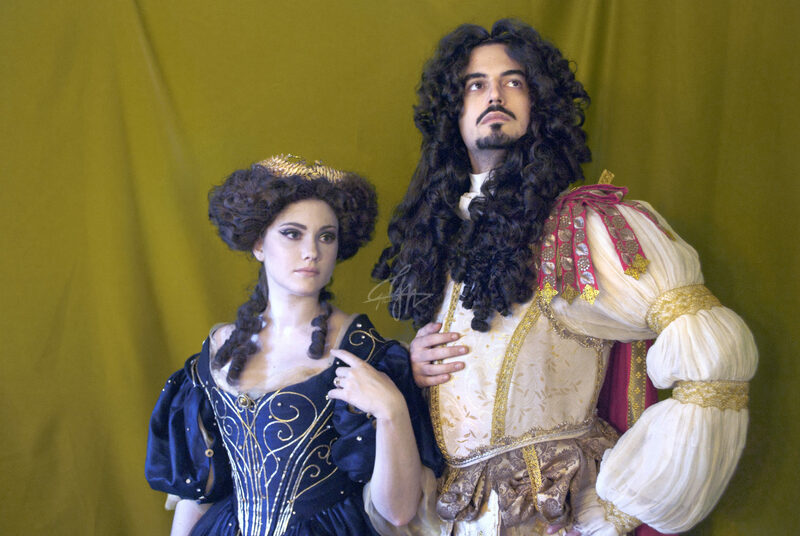 This wig is ideal for any Louis XIV men’s style. It can be used for later times, as wig for special figures, such as judges. And it definitively rocks when it completes the head of a pirate, as it is in part inspired by descriptions of Captain Hook, with black locks like black candles. However, it can be perfect to use for historical events, even if it has the ease of synthetic hair, and therefore its styling lasts longer. It can also be powdered easily, to give more higlits to the locks. 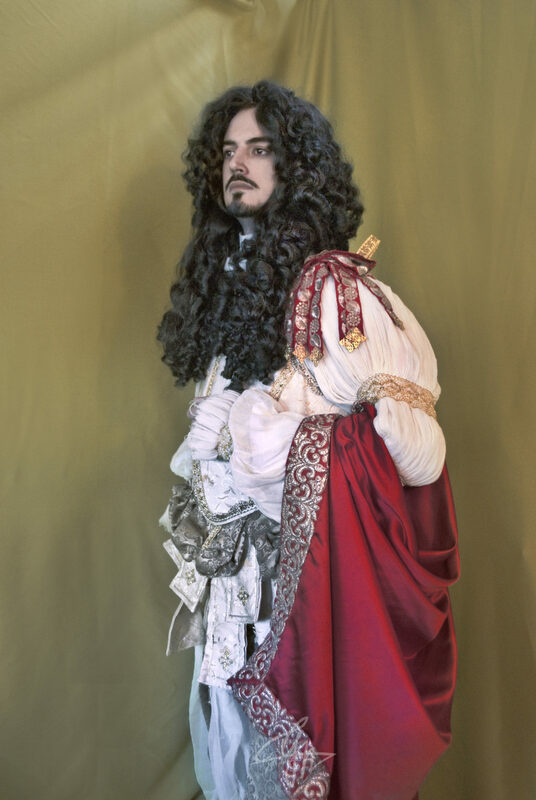 We can also agree on how much to dare, from the foppish look with two peeks, a lot of volume and not much definition on the locks, to very narrow styles, with locks almost improsoned in tidy lines against the fabric. If the wig has two extremities of fabric that should hang on the shoulders, and one back, this is the listing to start from. 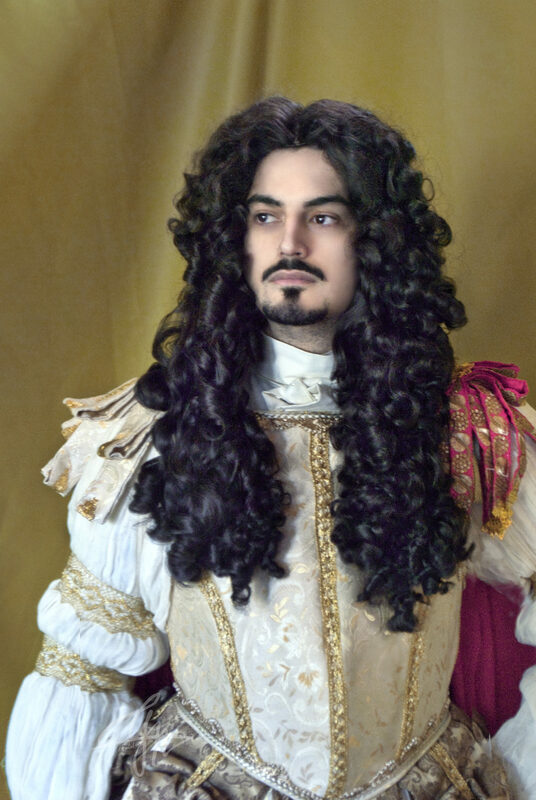 I have always been complimented for my work on wigs, I handle them with professional techniques, which always take away most of the sine that synthetic hair has, giving them an incredibly natural look, that will make you and you costume stand out from the crowds of shiny, synthetic looking wigs. This wig is styled starting from an already made wig, in kenakelon. The basic price range is for a non-altered wig, but wefts of hair can be added to the front, hairline can be altered and, even if not recommended for this wig, it can be made from a front lace wig.